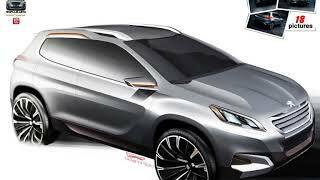 During late 2011 several reports indicated that Peugeot is preparing to launch a crossover based on the Peugeot 208, and for all intends and purposes it's going to be a key competitor to the Nissan Juke. 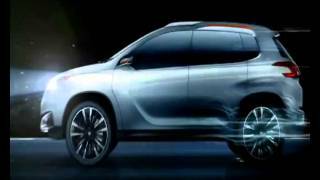 As it turns out the French lion made a few leaps forward into launching their CUV, and during this year's Beijing Auto Show the French manufacturer unveiled the Peugeot Urban Crossover Concept 2012. 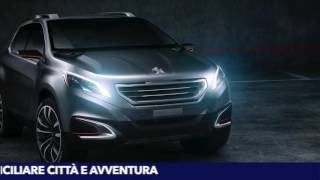 Unfortunately, Peugeot has not revealed anything regarding the Urban Crossover specifications, so there's no information concerning what engine or transmission is to be expected from the concept CUV. Furthermore, the French car manufacturer decided to keep the interior of the Crossover a mystery as well, so if you're wondering what you should expect from the upcoming CUV in terms of interior design, practicality or equipment, your guess is as good as ours. On the other hand, Peugeot focused more on presenting the exterior design of the car, and there's no wonder why. Although the French car manufacturer produced other off-roaders in the past, The Urban Crossover is Peugeot's first CUV to be designed 100% by themselves. The exterior design of the car is the result of the work of several Peugeot design studios located in Paris, Sao Paulo and Shanghai. The Urban Crossover offers a pretty high ground clearance and big wheels, C-shaped air intakes sculpted into the front fascia, C-shaped tail-lights featuring LED illuminated Peugeot signature and overall, a very compact design. The Urban Crossover Concept shares the same platform as the Peugeot 208 and it's 162 inches long and 68 inches wide, making it both shorter and narrower than the Ford Focushatchback. 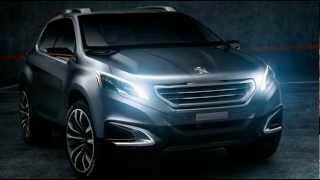 As far as availability goes, the Peugeot Urban Crossover Concept 2012 is expected to make another appearance during the upcoming Paris Motor Show next fall, and it's expected to be put into full production starting December 2012 when it will undergo name change and will be presented as the "Peugeot 2008". As far as pricing goes, the French manufacturer hasn't revealed any information regarding the matter, but we're expecting the Urban Crossover to hit the market at a similar price as its archenemy, the Nissan Juke which has a price tag of almost $20,000 for the base model. One thing I have to say, at least in terms of exterior design, if the Urban Crossover will retain its looks once it hits the market then it's already a winner in my book.